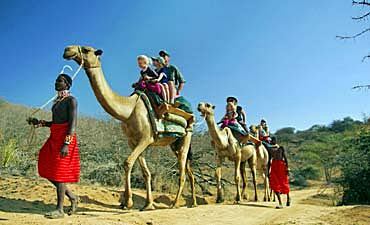 Are You Planning A Bush & Beach Holiday In Kenya? 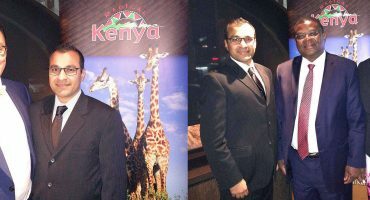 Scroll Down For Details..
With so many inland wilderness areas and coastal destinations from which to craft your ideal Kenya dream holiday, you may be torn between the high-pace action of a bush safari and the romantic, exciting aquatic setting of the Indian Ocean beaches. 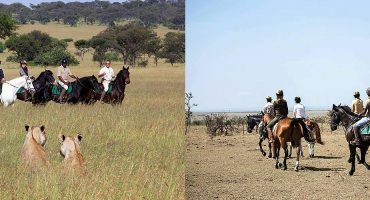 AfricanMecca Safaris wants to share all that Kenya offers you and your family, so we arrange bush and beach safaris so can enjoy the best of both worlds! 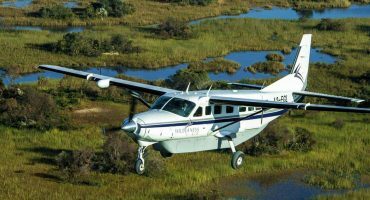 Our Bush & Beach Safaris for Africa are tailored to your desires, so you can spend more time in the remote outback with shorter trips to the beach, or you may lounge by the sea for an extended time with limited tours of local protected areas. 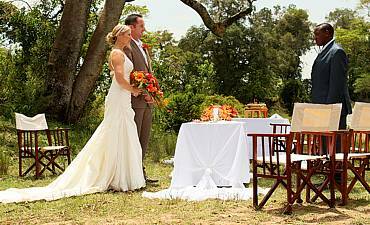 A longer beach retreat with a shorter safari option suits the needs of some of our European guests who are planning a first time or repeat bush and beach trip to the East African coastline in Kenya. You may wish to board a flight that arrives into Mombasa, sometimes on a weekly charter flight. 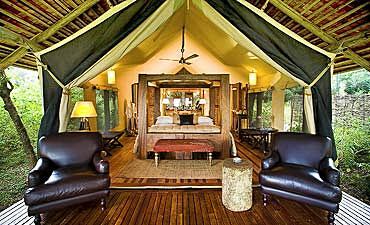 You can then spend a few days on the beachfront then journey out into parks and reserves like Tsavo, Amboseli or even Masai Mara for two to three nights for safari game driving, village visits, nature walks, hiking and other wilderness activities before returning to your seaside hotel for the remaining period of your vacation. 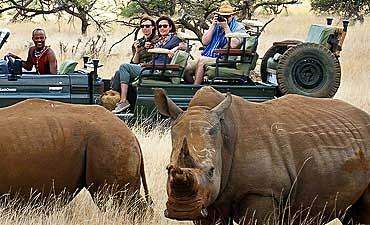 The third option is to have equal time on safari and at the seashore. 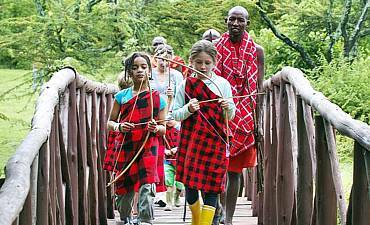 The bush country of Kenya draws travelers from around the world who wish to see herbivores and carnivores roaming freely amidst prime habitats. 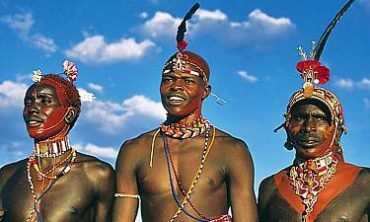 If the remote outback is your top criteria for an adventurous African safari with a little touch of oceanside tranquility, AfricanMecca recommends that you plan to spend five to eight nights in the bush followed by three to four nights on the lovely stretches of white sand beaches. 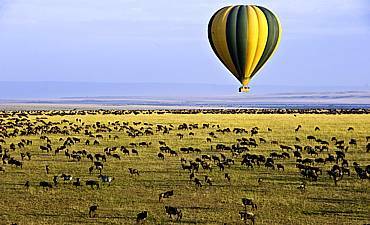 Take a majestic tour of Kenya’s Amboseli National Park where the elephant savannah plains are dominated by Mount Kilimanjaro as its backdrop or we can arrange for you to see one of Africa’s most-desired destinations — Masai Mara National Reserve where the massive herds of wildebeests and zebras seasonally traverse an ancient wildlife path as part of the Great Migration. 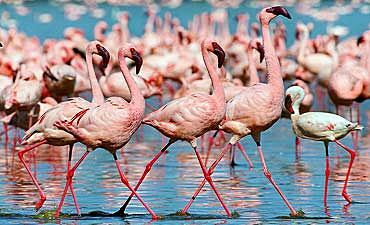 Visit the private conservancies of Laikipia to learn about efforts to expand Kenya’s protected areas through collaborative relationships amidst private landowners and local tribes, or stand in witness to thousands of pink flamingos that carpet Lake Nakuru. 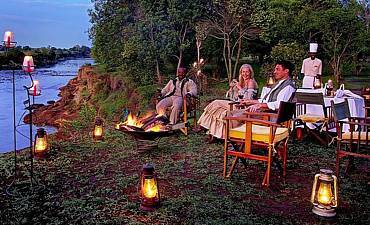 The never-ending excitement of your African bush experience leaves you feeling exhilarated and desiring a more relaxed pace. The Kenyan coastline is a superb location to rejuvenate before returning home. A coastal getaway to Mombasa takes you to an idyllic tropical paradise of blue-green waters lapping at long soft sand beaches. 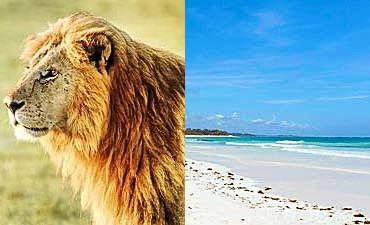 Choose from the popular beaches of the Mombasa North Coast or the lesser-visited Mombasa South Coast. The charming seafront village of Watamu takes you back to the 13th century. Although the Kenyan coastline is an exceptional place to bury your toes in the sand and sip cocktails at sunset, the locations are also rich in aquatic activities. The coral reefs of Kenya are some of the best in the world for diving and snorkeling, and Watamu along with Malindi are a world-renowned destination for anglers desiring the challenge of big game fish. 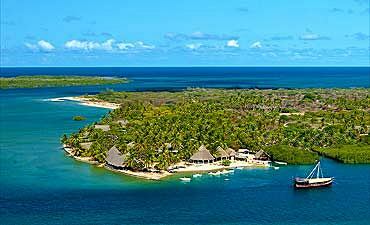 Other beachfront destinations in Kenya are Lamu Island, Chale Island, Kilifi and others. Whatever your pleasure — be it shore walks, town tours, shopping, historical excursions, cultural interactions, sailing, waterskiing, kayaking, kitesurfing and much, much more — AfricanMecca Safaris arranges the perfect seaside experience for you! For our beach and water lovers, AfricanMecca recommends spending ten nights on the coastline followed by three to four nights in the bush. The timeline allows you to maximize all that the Indian Ocean, beaches and seaside villages offer! Imagine taking a boat across the water and feeling the stress of modern life melt away. On the South Coast of Mombasa, just ahead lies the secluded island of Funzi, a spectacular blend of beach, sandbank, wetlands, forests and mangroves. With only a small settlement of islanders, you are sure to have an intimate and personalized vacation on the African isle. North Coast Mombasa is an excellent option for our guests who prefer more to be close to the mainland. The island offers historical architecture and landmarks, as well as access to the ocean waters for deep sea fishing, snorkeling and diving. If angling is high on your list, Watamu is the place for you! The exceptional fishing has made Watamu one of the prized locations for ILTTA World Championships and many other tournaments. Challenging fish species include spearfish, broadbill swordfish, sailfish, marlin, yellowfin tuna to name only a few! As if the beaches and marine sports weren’t enough, you may also explore Bio-Ken Snake Farm, Gede Ruins and Arabuko Forest Reserve. But even more awaits you on Africa’s Indian Ocean coastline. Romantic dhow sailing under the moonlight, jet skiing, kitesurfing, glass-bottom boat rides, leisurely nature walks and more! 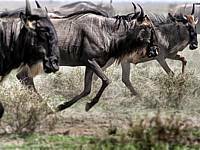 Once your spirit and soul are eased by your seashore travel in Kenya, AfricanMecca invites you to venture inland to the wilderness areas to see some of Africa’s most magnificent creatures! 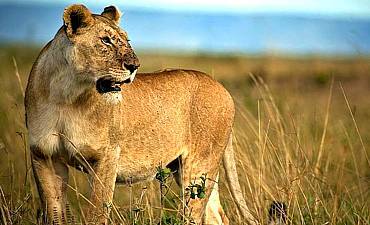 Tsavo National Park is divided into two distinct protected areas — Tsavo West and Tsavo East. 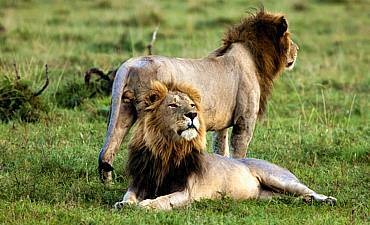 Tsavo is home to feisty maneless lions, leopards, cheetahs, hyenas, wild dogs and other feisty hunters. Keeping their attention are gazelles, impalas, fringe-eared oryx, zebras and other herbivores grazing upon the savannah. 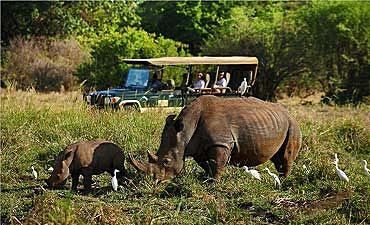 Large mammals are also present, such as rhinos, elephants, giraffes, buffalos and others. 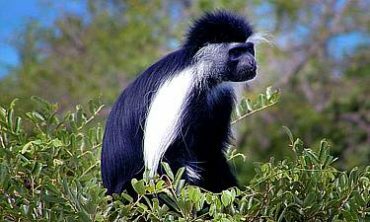 Tsavo is also home to baboons, vervet monkeys and other primates. 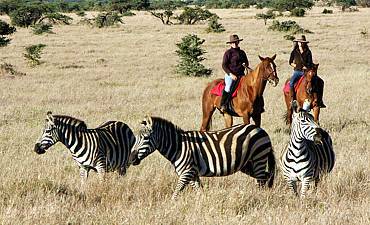 On the northeast edge of Tsavo West is its sister park — Tsavo East. Together the two parks create one of the largest national parks on Earth! 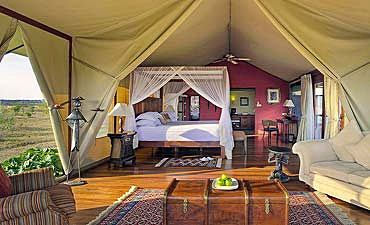 On its own, Tsavo East is the largest park in Kenya and has a very distinct character. As one of the world’s richest biodiversity resources, both park cover 20812 square kilometers (8035 square miles). Iconic acacia, thorn bushes and other flora dot the landscape that is peppered with ancient lava flows. The Athi River cuts through the terrain to eventually reach Lugards Falls. 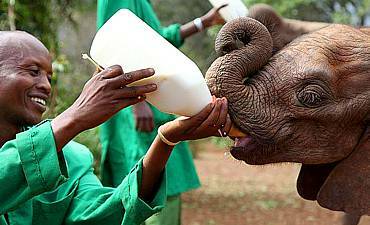 Beyond the beautiful scenery, Tsavo is also home to some of Kenya’s largest elephant herds. 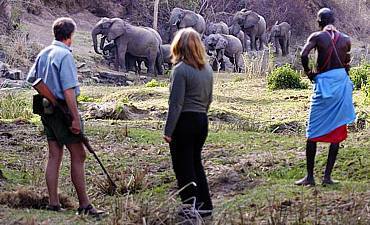 The pachyderms stand apart from others you see in Africa due to the reddish murram dust that covers their gray skin. 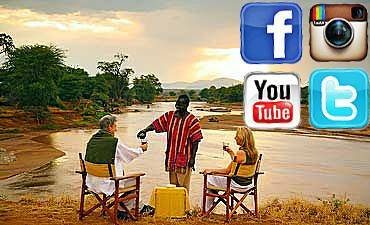 These social creatures are joined by lesser kudus, klipspringers, warthogs, dik-diks etc. 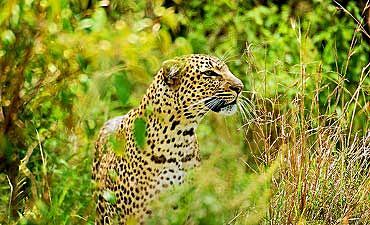 The other option is Shimba Hills National Reserve, located south of Mombasa, offering distinct wilderness and forest experiences. 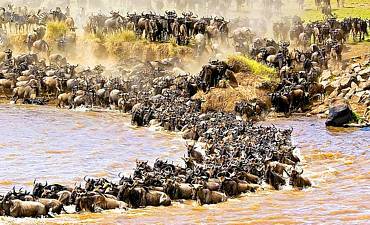 Alternatively, you can visit Masai Mara or Amboseli instead of Tsavo for a short safari in between your beach holiday but you will need to fly into park due to the long distances to the park from the coast of Kenya.